Is Rekeying or Replacing Locks a Good DIY Project? Have you ever thought about all the people who have had copies of your home’s keys through the years? You’ve probably given a few spare keys to trusted friends and neighbors for emergency purposes — or when you leave on vacation. Naturally, you’ve given a copy to every roommate or long-term houseguest you’ve ever had. Add in the occasional house sitter, past residents, real estate agents, contractors who needed access during construction, and everyone they’ve given keys to. That’s a lot of keys. Clearly, just having good locks on your doors is not enough to keep your possessions or your family safe with so many key copies floating around. The ideal time to have your locks replaced or rekeyed is the day you sign your lease or mortgage. However, it’s never too late to beef up your home’s security with rekeying, new locks, or new keys. Once you’ve decided to replace or rekey your locks, you need to decide whether you want to do it yourself or hire a professional locksmith to do the job. There are several things to consider before you make your decision. People often take the do-it-yourself route to try to save money. However, locksmith work is like a lot of other professions; what looks quick and easy for a professional to do can end up taking a lot of valuable time for a homeowner. For one thing, the locksmith knows exactly how to do the job quickly and properly, while you will be learning and making mistakes as you go. For another, the locksmith is a lock retailer, meaning that a good part of the locksmith’s pay is the same markup you would have to pay anyway if you bought your own locks at a store. The chances are good that if you spent your weekend picking up a few extra hours at work or holding a garage sale, you could pay a reputable locksmith to do the job and still come out ahead. Most locks look basically the same to the average person. To a locksmith, or to a thief for that matter, different locks look different. Some locks are secure when installed properly. Others have flimsy mechanisms and offer little resistance to would-be burglars. The lock you buy at the home improvement store may be a pretty good lock for the price. Or it may not. Only a locksmith or a criminal knows how well or poorly that lock will help your home’s security. If your home has specialized or hard-to-find door hardware, rekeying may be a good option. Even for locks that aren’t specialized, if your existing locks are good, your locksmith may recommend rekeying them. 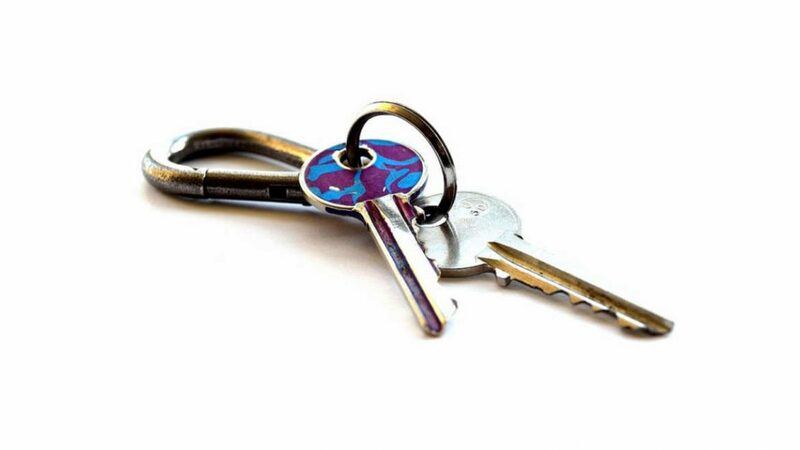 Rekeying has become a do-it-yourself option in recent years, in particular since lock manufacturers have introduced rekeying sets that have made it easy for anybody to quickly rekey a lock. Unfortunately, the disadvantages of DIY rekeying sets and systems are the same as the benefits. By making the job so quick and simple for homeowners, lock companies have also made it quick and simple for thieves to tamper with locks that have been rekeyed using these systems. If you are replacing or rekeying your locks because you’re worried about all the keys out there that fit your locks, you should reconsider buying your locks at a local hardware store. For a variety of reasons, most of the manufacturers of hardware store locks produce thousands of locks that are keyed alike. They even ship lots of keyed-alike locks to the same store so that people can buy several locks that, for convenience, take the same key. If you buy one of these locks, there are thousands of people whose house keys will open your doors. Rekeying kits have similar drawbacks. Fortunately, a locksmith can install a one-of-a-kind lock or rekey your locks and create your own unique keys for you on the spot. There are many home improvement projects that a homeowner can safely tackle. After all, you can always repaint if the job doesn’t turn out right. However, a door is only as secure as its lock. The wrong lock or improper installation of a good lock can leave your home wide open to predators. If security is a priority for you, contact a local locksmith for professional advice and help. Job Done Locksmith provides swift, professional locksmith services for home, car, and business in Denver and across the Front Range. Call us 24/7 for locksmith services!